This is an in-depth review of the Singer 4423. I will tell you why it’s a better option than other models and provide you with details about this sewing machine. 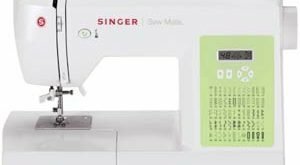 The Singer 4423 is a powerful heavy duty machine that’s equipped with a variety of features designed to not only make your sewing experience more convenient but also increase your work pace and efficiency. It’s extremely easy to control which makes it an ideal choice for beginners and professionals alike. Singer sewing machines are known and respected for their superior quality and the Singer 4423 is no exception. Its outstanding features are guaranteed to give your work a distinctive edge. If you love getting your work done on time, you’d really be impressed with the speed of this machine. With the help of its motor (60% stronger than most computerized sewing machine), this singer sewing machine can sew over 1000 stitches in sixty seconds no matter the thickness of the fabric. 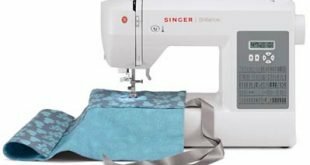 Just so you can enjoy a hitch free sewing experience, the Singer 4423 comes with a heavy duty metal frame, which holds fabrics in perfect alignment. 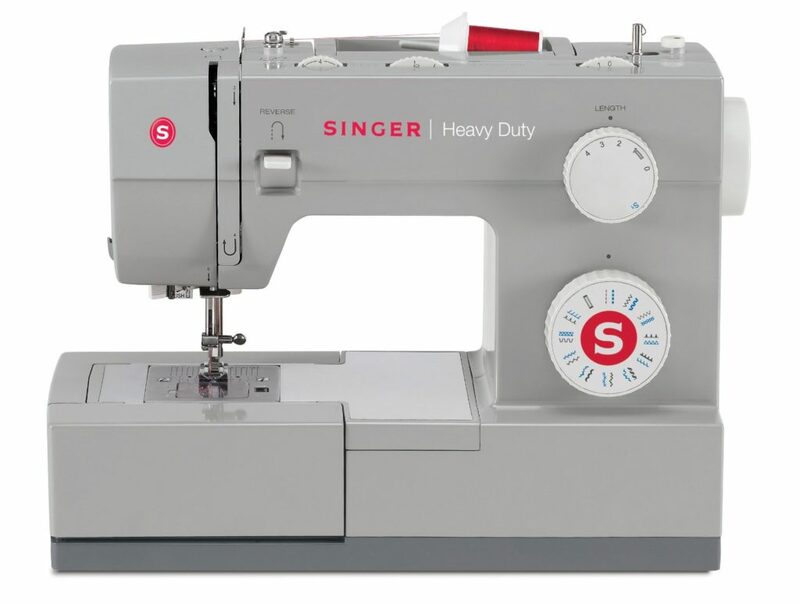 The Singer 4423 comes with 12 Decorative Stitches, 6 Basic Stitches, and 4 Stretch Stitches. It has a top drop-in bobbin that makes inserting, monitoring and removing of thread supply less stressful. Its stainless Steel Bed Plates makes it difficult for fabrics to get stuck on the machine arm. The on-board storage capacity makes sure that none of your accessories are left behind and the free arm provides easy access to areas that are difficult to reach. Tired of manually threading the eye of a needle? Well the automatic needle threader on this singer sewing machine does that effortlessly. As for accessories, this sewing machine comes with an assortment that you will find pretty useful. These include the Bobbins, Needles, Quilting Guide, Soft-sided Dust Cover, Spool Pin Felt and Seam Ripper / Lint Brush, Auxiliary Spool Pin, Button Sewing Foot, Buttonhole Foot, Zipper foot, and a screwdriver. Who should buy the Singer 4423 sewing machine? Both Beginners and professionals will find the Singer 4423 extremely beneficial. 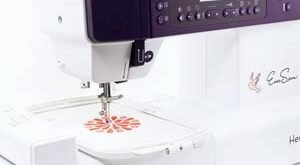 Doesn’t matter if you are an amateur who’s still learning the craft or a professional who’s looking for a fast and heavy duty sewing machine this is the perfect sewing machine for you. For the moms who make Halloween costumes and the home decorators who are particular about speed, you are going to love the Singer 4423. Using the right needle size for different type of fabric is recommended.